Note: The following guide only demonstrates the process of contact transfer between LG and iPhone. In fact, other file transfer is also supported. Check details below. It has been a month since the introduction of long-expected iPhone 6. Millions of lucky man already got the iPhone 6 or Plus in hand according to news report that Apple sold out more than 10 million iPhone 6 in just two days. I am pretty sure that among the figure there are many existing LG smartphone owners. In addition, it's also the perfect time to buy old iPhone models as the price was reduced sharply in recent. 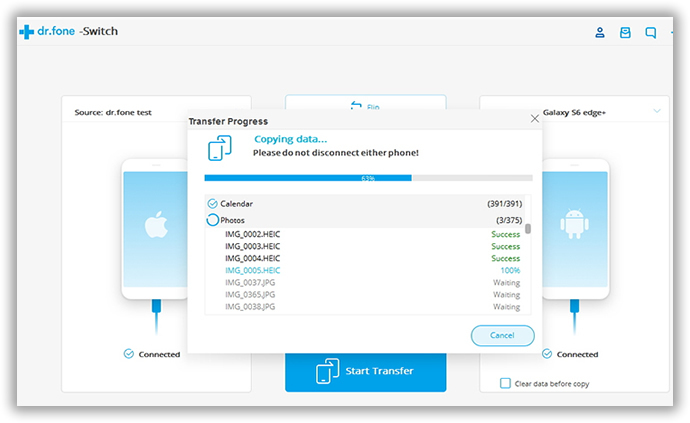 One of the major problems for those who switched from Android to iPhone is how to transfer the content from the old LG device to the new iPhone. As we all know, iPhone and LG smartphone are built on totally different software systems. You can't just copy-paste the data between each other. 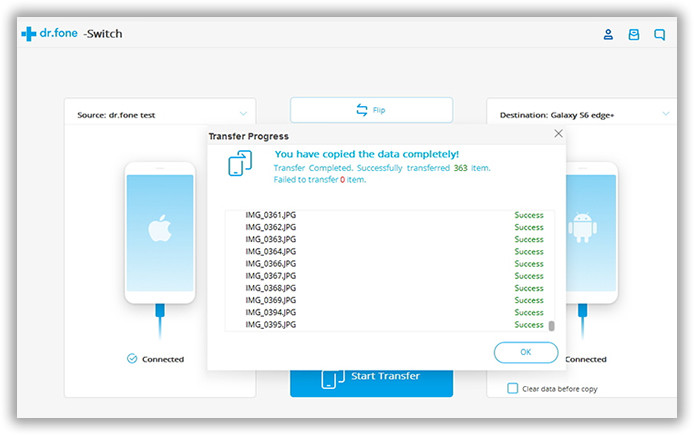 Fortunately, there is a great Mobile Phone Transfer tool available on the market, which aims to smooth the transfer process among different mobile operating systems, including iOS, Android, Symbian and Blackberry. The whole transfer will be done in minutes with just a few mouse clicks. No matter you're going to transfer items (contacts, SMS, photo, etc.…) from LG to iPhone or vs versa. All major LG smartphone and all iPhone models are supported so you don't need to worry about that. The only requirement is that USB driver is installed properly on the computer. Supported LG Smartphone: LG G6/G5/V30/V20/V10, LG G4/G3/G2/Pro 2/Flex/ Optimus/Volt/G Vista/Lucid and more.. Connection: Plug both devices into the same computer via USB cable. Once the devices are well attached, the program will detect them automatically and displays them on the corresponding area on the screen. Make sure USB drivers are installed properly. Click the Filp button if the Destination phone is not the iPhone. 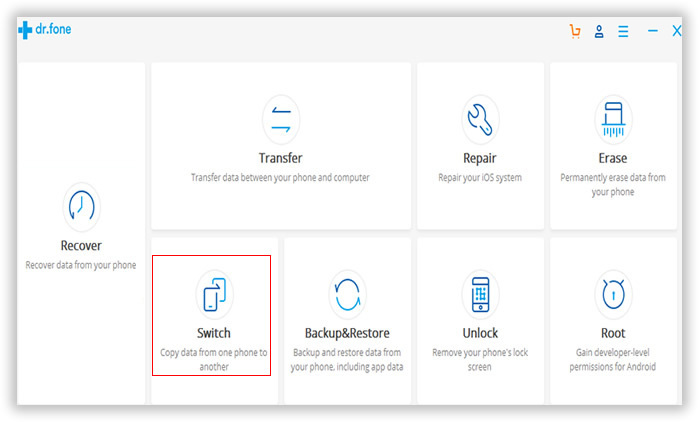 After constant updates, this program has been embedded two powerful data transfer and data backup functions, Backup and Restore can help backup all data from your phone to pc and restore backup to your phone with a click. Here you need to select Switch option. 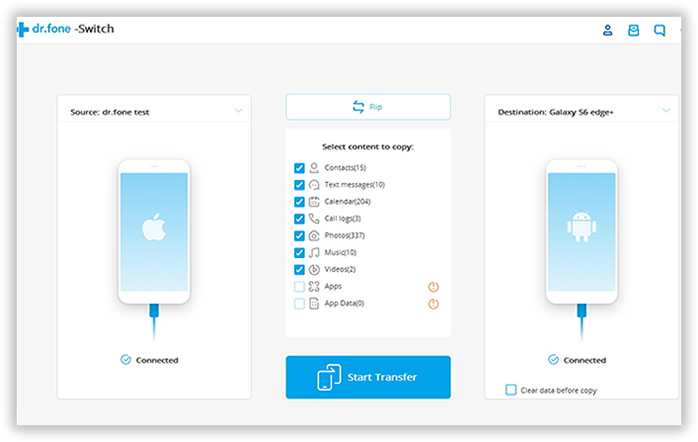 You can transfer multiple types of files between the two devices, including contacts, text messages, photos and media libraries. Click the Filp button if the Destination phone is not the iPhone. Your LG phone will be placed on the left as "Source" phone, and your iPhone will be displayed on the right as "Destination" phone. You can click the Filp button if the Destination phone is not the iPhone and also change the place. Just select the items you'd like to transfer and click the Start Transfer button to start the transfer process. The transfer process will be done in a few minutes depending on how many files to be copied. According to my own experience, you can hardly find out a transfer app with an easy-to-use interface and powerful functions. I have been using this app for years and it saves me a lot of spare time. What's more, it can also help you backup your smartphone to computer and restore it later when your files were accidently deleted or wiped.